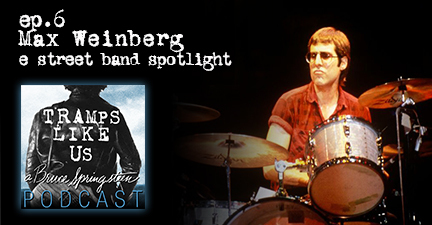 The Mighty Max Weinberg is our subject for this episode. Joe Iannuzzi and Darrin Pfeiffer join in on the discussion about Max and drumming. We discuss how Max got his start playing drums, his rock’n’roll influences, the infamous E Street Band audition, The E Street breakup in 1989, the Late Nite gig, and being Bruce Springsteen’s drummer for over 40 years. Featuring interview clips with Max and sound clips from some of his memorable drumming moments.